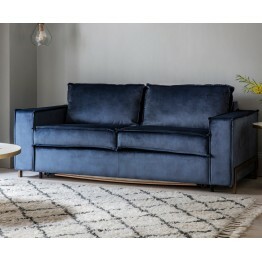 The Richmond Sofabed from Gallery Direct has a striking look about is and is quick and easy to operate with a smooth mechanism. 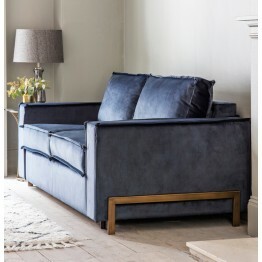 It's made in many different materials and has a brushed brass finished metal framework that give it that modern appeal. There are two mattress types that is can be ordered with, and once opened will offer a great nights sleep to house guests. We deliver these across mainland England, Wales & Southern Scotland without charge and this includes bringing the furniture in, setting it up and taking away any packaging for you. Usual lead time is around 3-4 weeks but if you need it quicker please do call us and we'll see what we can do for you.